“Intact America is the largest national advocacy group working to end involuntary circumcision in America, and to ensure a healthy sexual future for all people. Intact America fulfills its mission by challenging social and sexual norms and by advocating for the health and wellbeing of all children and the adults they will become. 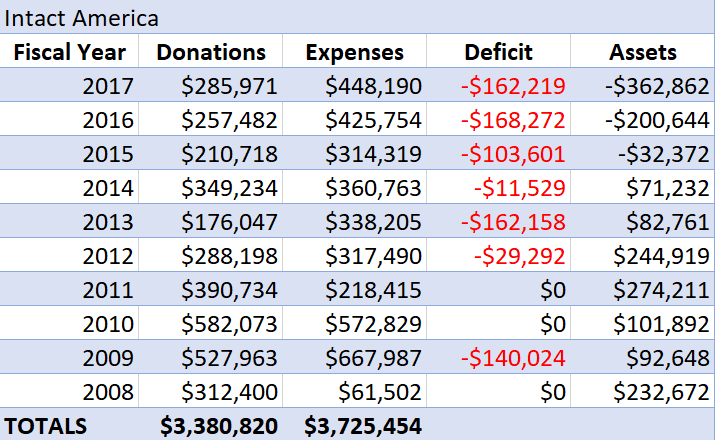 Reported donations to Intact America were $285,971 in 2017 and expenses were $448,190. 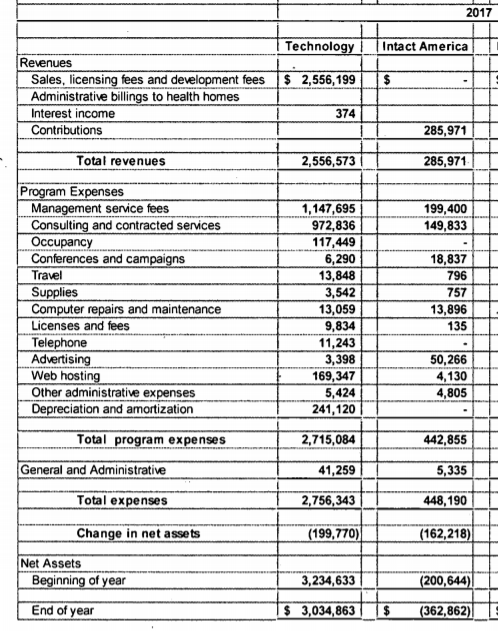 Expenses reported for Intact America in 2017 included $199,400 on management service fees and $149,833 on consulting and contracted services. On July 26th, 2018, Georganne Chapin declined our request to complete the Guide to Giving survey. Intact America is a service program that is wholly owned and operated by the Hudson Center for Health Equity and Quality, Inc. (HCHEQ). •et; Over $3.3 million has been donated to, and spent by, Intact America since its founding in 2008. •et; Georganne Chapin, President, reports no compensation from the organization or related organizations for work averaging 40 hours per week. See 2017 Form 990 Part VII, "Compensation of Officers". •et; Expenses reported for Intact America in 2017 included $199,400 on management service fees and $149,833 on consulting and contracted services. •et; Expense deficits were $162,219 in 2017, $168,272 in 2016 and $103,601 in 2015.